Koen Kuijpers was born in ‘s-Hertogenbosch, the Netherlands in 1990. He received his B.Sc. and M.Sc. degree in Chemical Engineering and Chemistry at the Eindhoven University of Technology. In 2015, he graduated his Masters under the supervision of Timothy Noël. After obtaining the M.Sc. 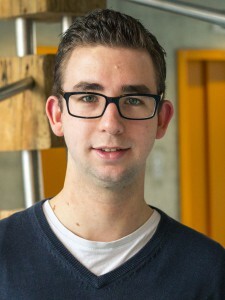 degree he pursues a Ph.D. in the group of Timothy Noël. His research focusses on the engineering aspect of microreactor technology, especially on scale-up, automation and actinometry.